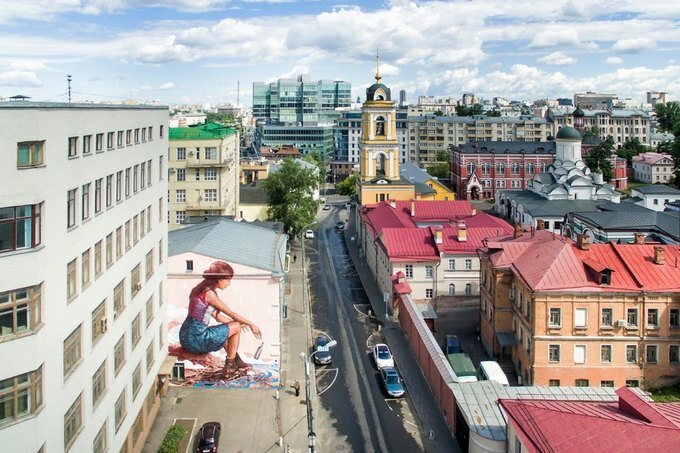 "Street art from a height" is a photo project by Sergey Shumilov and Daniel Ananiev which reveals vibrant views of Moscow's streets captured by an oktokopera, a drone-like gadget with eight arms. 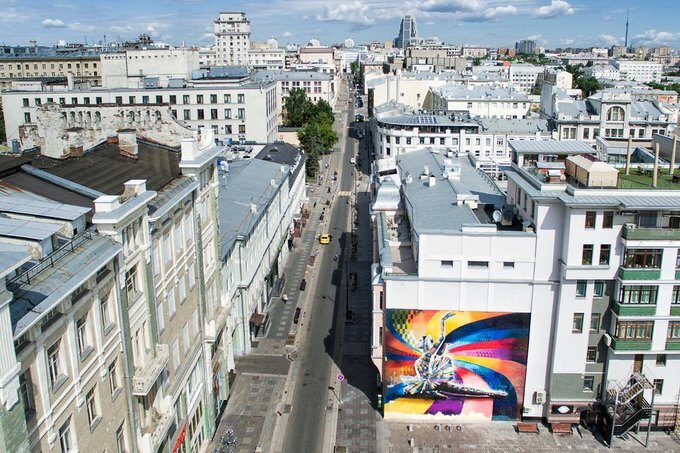 The artists state, "Scattered throughout Moscow, art objects greatly influenced the appearance of the city, transformed it and made brighter, Our photographic project 'Street art from a height' shows how graffiti fit into the city's streets with 900 years of history. 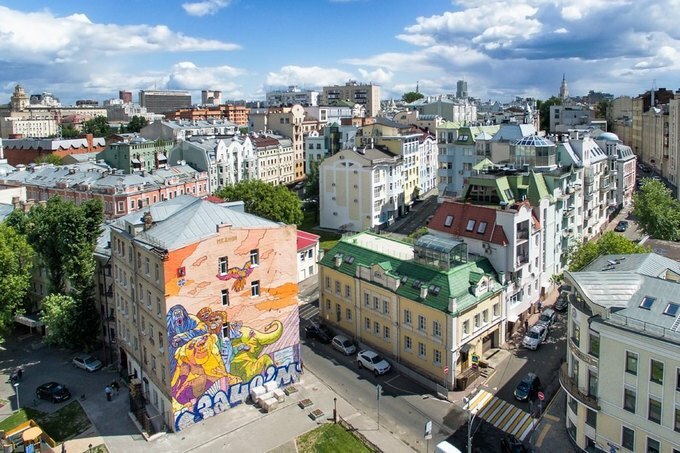 We have tried to open and show what you do not see from the ground or from the window of the nearest house."